← Lotus No Longer Paying For F1 Sponsorship? 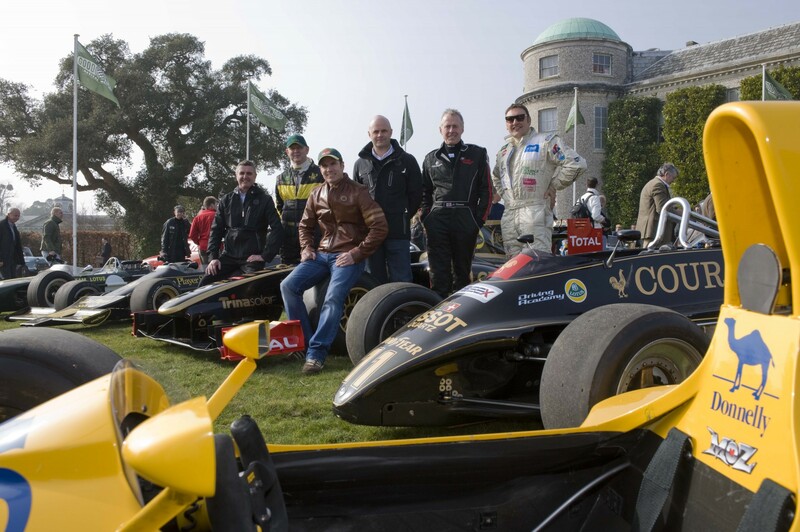 Lotus are set to star at this years Goodwood Festival of Speed, with a large presence planned, along with the promise of an attempt to break the hills record time, set in 1999 by Nick Heidfeld in a McLaren, in this years Lotus-Renault E20. 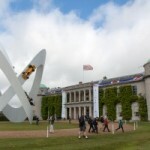 As well as firing up some of the most exciting classic and current Lotus models, Group Lotus is preparing a dramatic sculpture that will become a centrepiece of Goodwood House’s stately grounds during the June 28 to July 1 festival. Goodwood and Lotus have a lot in common: Passionate about the past and the future, for petrolheads they represent the very best of British. The shared philosophies of speed, emotion, style, competitive spirit and enjoying the good times are all here. 42 historic Lotuses will blast up the hallowed hill climb, while the Lotus F1 Team looks to break the course record with this year’s grand prix challenger, the black-and-gold E20. 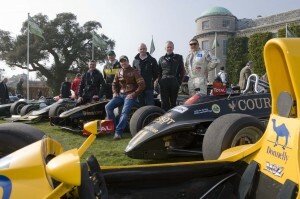 The cars and enthusiasts will be joined by famous faces and Lotus legends from every era. Lotus remains committed to the motorsport world, with activities at every level in Formula One, IndyCar, GTs, endurance racing and rallying. Racing is core to Lotus’ DNA, and with seven F1 constructors’ titles, six drivers’ crowns and a World Rally Championship to its name, few marques can boast such a successful and multi-skilled heritage. 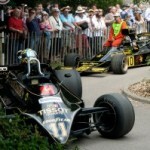 This entry was posted in Classic Team Lotus, Group Lotus, Lotus F1 Team, Motorsport and tagged Classic Team Lotus, Goodwood, Goodwood Festival of Speed, Hillclimb, Lotus Cars, Lotus F1 Team, Record Attempt. Bookmark the permalink.